Passport: Recommended for all tourists. Climate: Average annual temperature is 82F. Climate is ideal for travel any time of the year. The Cayman Islands are located 480 miles south of Miami, 180 miles northwest of Jamaica. 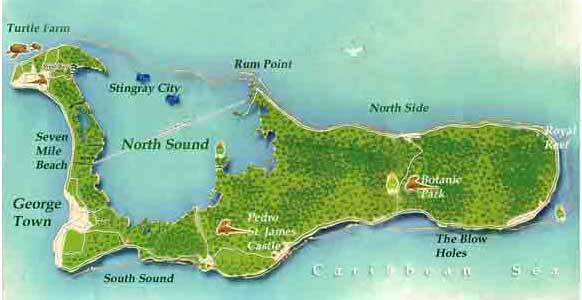 Cayman Brac and Little Cayman lie 89 and 74 miles northwest of Grand Cayman respectively. The national carrier, Cayman Airways, offers daily service from Miami, as well as Tampa, Orlando, Houston and Jamaica several days per week. The sister islands are serviced daily by both Cayman Airways as well as Island Air.